So I hung up my bike paniers in our carport a while ago because they had got a bit damp in the basement. 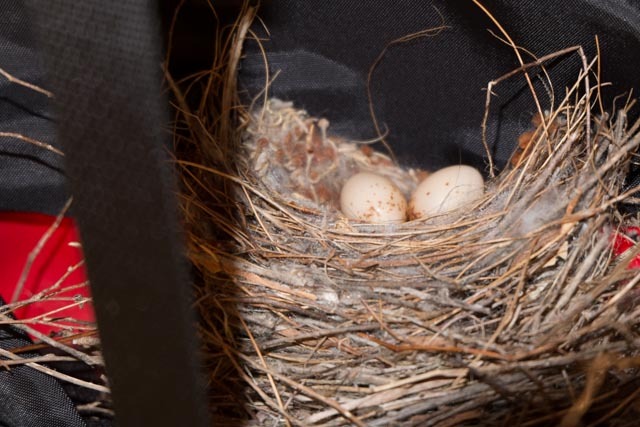 Recently, Paul noticed a little critter making a nest in one of them. A New Holland Honeyeater. …looks like someone’s been busy. Today there are two marvelous little eggs with little birds growing inside.